The Warsaw Community High School Music Department will present “Jazz in the Night/ Drum Enchanted Evening” at 7:30 p.m. Thursday, May 7. The concert will feature the WCHS Jazz Band, the WCHS Percussion Ensemble, and the combined Edgewood/ Lakeview Middle School Jazz Band. 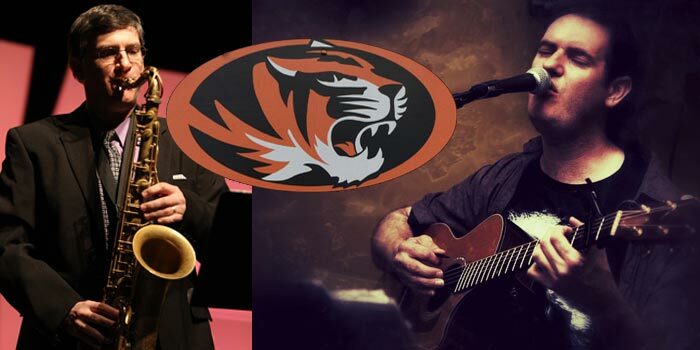 Two special guest artists – David Threlkeld (tenor sax) and David Ridenour (guitar) – will also perform with the ensembles. The WCHS Jazz Band will perform a wide variety of musical styles, including classic jazz standards by Count Basie, Duke Ellington, Dizzy Gillespie, Thelonius Monk, Sonny Rollins, and Dave Brubeck, as well as the jazz-rock of contemporary bands like Tower of Power and Steps Ahead. The WCHS Jazz Band performs extensively and has received numerous accolades and honors over the years, including invitations to perform at the prestigious Elkhart Jazz Festival in 2012, 2014, and 2015. The WCHS Percussion Ensemble will perform pieces ranging from early 20th century ragtime to the Latin-jazz of the Pat Metheny Group and the hard rock of the band Fishbone. The WCHS Winter Percussion Ensemble will perform its 2015 competition show, “Dance on a Volcano,” based on the 1970s-era progressive rock music of the band, Genesis. The WCHS Percussion Ensemble is a five-time Indiana State Champion and has been a state finalist for nineteen consecutive years. The WCHS Jazz Band and Percussion Ensemble are under the direction of Mickey Ratliff. The Middle School Jazz Band is directed by Joseph Peloza. Performing with the WCHS Jazz Band and Percussion Ensemble will be special guest artists David Threlkeld and David Ridenour. Threlkeld is a Professor of Music at the University of the Cumberlands in Williamsburg, Ky., where he directs the UC Jazz Ensemble, and teaches private lessons on flute, clarinet, and saxophone. He also serves as the Coordinator of Instrumental Studies, and coordinates the UC Jazz Clinic. As a performer, Threlkeld is director of the London (Ky.) Jazz Orchestra, The Little Big Band and The Dave Threlkeld Quartet. He has also performed with such artists as Lou Rawls, Shirley Jones, The Temptations and the Four Tops. Threlkeld currently serves as the president of the Kentucky Association of Jazz Educators and frequently adjudicates jazz ensemble, marching band, concert band, and solo and ensemble festivals. In 2013, he was presented with the Excellence in Teaching Award by the University of the Cumberlands. David Ridenour is a guitarist/vocalist/composer from Cincinnati, Ohio. As a performer, he has appeared on stage with such artists as Maynard Ferguson, Ray Charles, Joan Baez, The Temptations, Chuck Berry, Lee Greenwood, Johnny Rivers, Percy Sledge, Little Anthony and the Imperials, Helen Reddy, the Cincinnati Chamber Orchestra, the Cincinnati Pops, the Louisville Pops, and the Lexington Philharmonic. Ridenour’s original compositions have appeared on television programs such as “Will and Grace”, “Passions”, and “Providence”, and on recordings by the jazz quintet Crackpot Theory. Ridenour earned a BM in Jazz Guitar Performance from Morehead State University and currently teaches and performs regularly in the Cincinnati area. “Jazz in the Night/ Drum Enchanted Evening” will take place at 7:30 p.m. Thursday, May 7 in the Warsaw Performing Arts Center. Admission is $5. Tickets are available in the WCHS Performing Arts Center ticket booth. TG’s Frozen Yogurt of Warsaw will sell yogurt in the lobby from 6:45 to 7:30 and again at intermission. Yogurt cups are $4 each, and a portion of the proceeds will be donated to the WCHS Band program. For more information, contact the WCHS Performing Arts Department at (574) 371-5037.